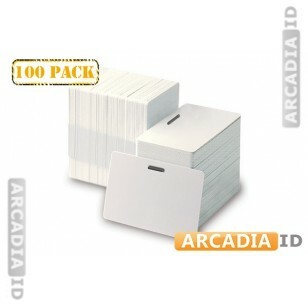 These are blank horizontal ID cards with a slot punched in the top for easily wearing on a lanyard or badge reel. High quality materials make for cards that last and look great. 100 per pack. 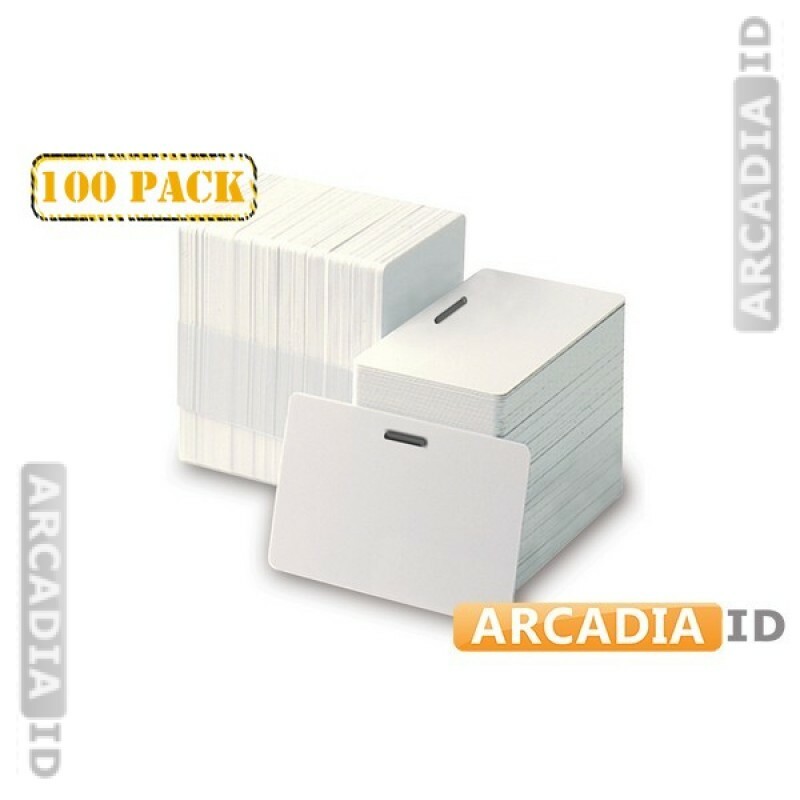 For the full range of photo ID card products for low prices browse our site. For the best quality and value you can rely on ArcadiaID.